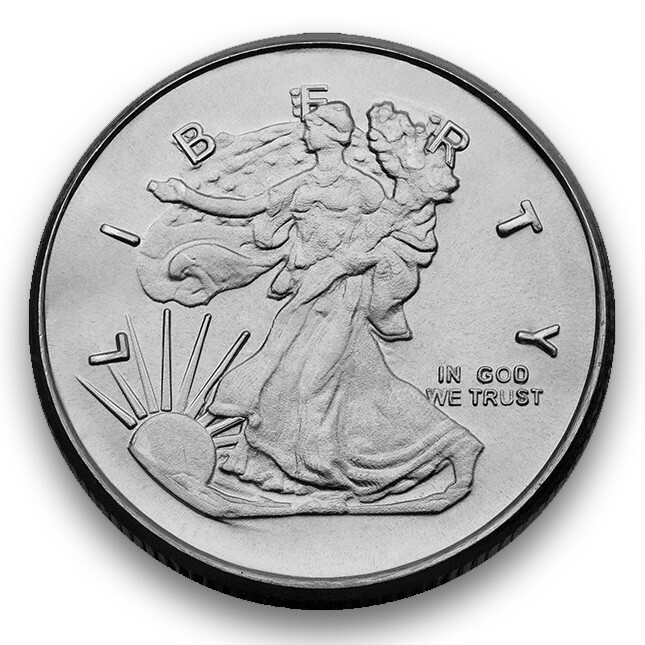 These ¼ ounce Walking Liberty Rounds are great for silver investing or for personal reasons. Their small size means they make great gifts for birthdays or special events. They are also a great way to introduce someone to silver money or coin collecting. For golfers, they make awesome looking ball markers. This Walking Liberty Silver Round is produced by the Highland Mint. The round weighs 0.25 troy ounces and is 99.9% pure silver. Coin was manufactured in the United States. Great round for personal use or investing. A small but active group of silver investors believe if people lose confidence in fiat currencies, small silver rounds will make an excellent emergency money. These silver rounds’ smaller size means you would be able to more easily trade for daily necessities versus larger 100 oz silver bullion bars for instance. Additionally all the essential information of weight, purity, and metal type is stamped on this silver round giving confidence to potential buyers. This is critical if you’re dealing with someone who doesn’t know the silver market or about the Highland hallmark. 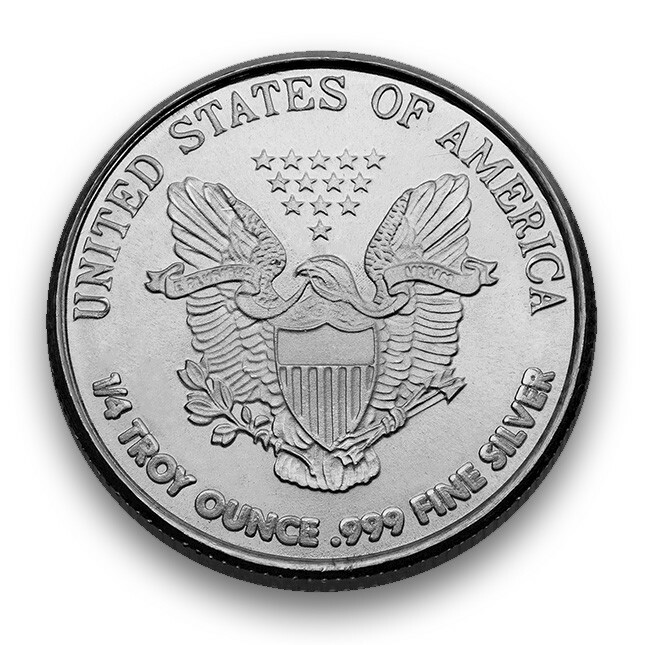 The design of this round is based off of the famous American Silver Eagle Coin produced by the US Mint. Of course this silver round is not ‘legal tender’ and has no face value, but it is still regularly bought, sold, and also held by silver bullion investors for the long term. On the front of this Highland .999 fine silver round is the well known walking liberty design which honors America's freedom and prosperity. It showcases lady liberty with a rising sun behind her. Stamped on this round are the words “LIBERTY” & “IN GOD WE TRUST”. There are several different designs for the reverse side of this round. But the most well known is the copy of the American Silver Eagle Coin. It features the American Bald Eagle and shield design. The Eagle clutches in its talons the arrows & the olive branch (symbolizing war and peace). The Highland Mint was established in the 1980s located in Melbourne, Florida. In addition to minting silver bullion products, they are world famous for making official sports memorabilia (cards, coins, and other collectibles).